Summary (from the back of the book): In a shady grove outside the small town of Ketanu, a young woman--a promising med student--has been found dad under suspicious circumstances. Eager to close ht erase, the local police have arrested a poor, enamored teenage boy and charged him with murder. Needless to say, they are less than thrilled when an outside force arrives froth gib city to lead an inquiry into the baffling case. Detective Inspector Darko Dawson, fluent in Ketanu's indigenous language, is the right man for the job, but he hates the idea of leaving his loving wife and young son, a plucky kid with a defective heart. Pressured by his cantankerous boss, Dawson agrees to travel to Ketanu, sort through the evidence, and tie up the loose ends as quickly and as efficiently as possible. But for Dawson, this sleepy corner of Ghana is rife with emotional land mines: an estranged relationship with the family he left behind twenty-five years earlier and the painful memory of his own mother's sudden, inexplicable disappearance. 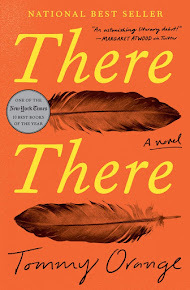 Review: It took me a week to read this book, which is really unusual for me. I was afraid that it wasn't going to work for me, but then I stayed up way late last night to finish it, unable to go to bed until I discovered "who done it." I do like a good mystery and this one definitely worked. I was surprised by the ending and the result of the detective's investigation, but it wasn't one of those endings that seemed unrealistic. What I especially liked was how much human nature played into who committed the crime: jealousy, traditional beliefs, and our need for love and companionship all played a role. While the first half of the book was slow for me it wasn't because I didn't enjoy the book. What I found very interesting is how much I learned about traditional Ghanaian culture and beliefs, covering topics such as witchcraft, food, life in rural villages, language (there is a glossary at the back, which I didn't use), and customs. One of the big issues the book deals with is the Trokosi. The author even has a little explanation at the front of the book about them. They are the young girls or women who are "married" to a local fetish priest to ward off evil that has befallen a family. Any money they earn is given to the priest as well. Apparently this is quite controversial in the Volta region of Ghana where this book takes place and Quartey did a great job at showing both sides of the issue. Click to see my updated Google Map. 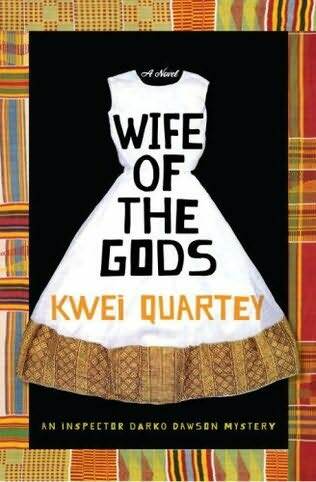 I've finally read a book set in a West African country! If you are at all interested in Ghanaian culture, this book is a good one; I feel like I learned quite a bit about traditional Ghana.